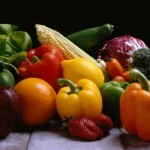 Healthy Eating for Life by Gretchen Scalpi, R.D. How many times have you started a healthy eating plan only to have your good intentions gradually slip away? When that happens, you may find yourself back where you started and frustrated with your lack of ability to keep on track. 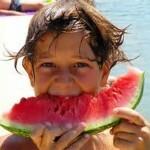 Most people know how to eat right, but maintaining what you have started is another matter. 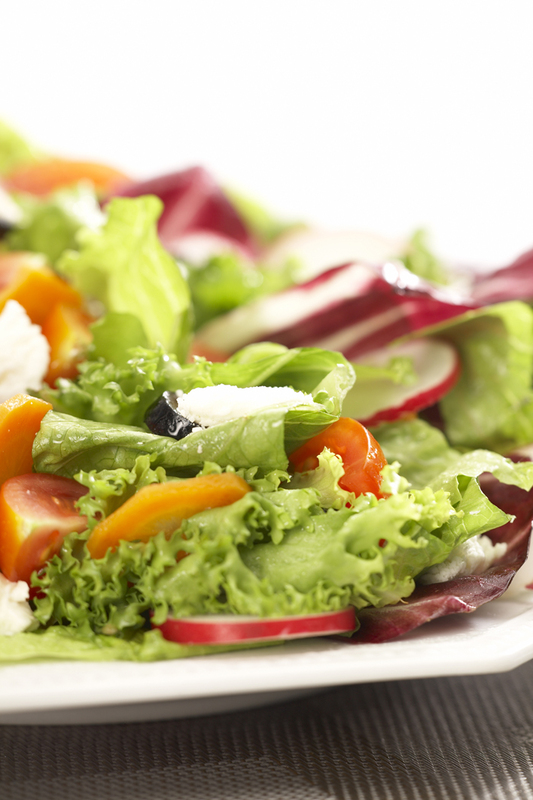 Here are five strategies to help you make healthy eating habits stick. Decide what your most important goals are and write them down. Goals need to be specific and measurable. Spell out what you will do, how often and when. Changing lifestyle habits are often easier said than done. One way to come up with goals that will work for you is to discuss your goals with a nutrition professional. Choose someone with the experience and educational credentials that makes them a nutrition expert, such as a Registered Dietitian. When learning new skills, write down what you are doing. Keep a written journal of what you eat and review your journal at least once daily. Writing it down as you go lets you know exactly what you are eating and gives you quick insight into what areas need improvement. It’s human nature to revert back to old behaviors, especially when social occasions or unexpected events occur. Accept the fact that sometimes life gets in the way of your plans! Don’t take the “all or nothing” outlook, and feel as though you have failed simply because you had a setback. If you have a setback, decide upon a time in the very near future to resume your plan, then just start again. The only way to know how well you are doing, is to keep track of your progress and see how far you have come. Besides keeping a food journal, it can be helpful to make a list of the improvements you have actually made along the way. Seeing your “improvement list” validates all the little things you have already done and is a great way to keep yourself motivated. People that have a well thought out strategy for making healthy lifestyle changes are the ones who realize success. Lifestyle changes take time, but a systematic approach will help you maintain what you have changed. Give it a try! Gretchen Scalpi is a Registered Dietitian, Certified Diabetes Educator and Certified Wellcoach. She is the author of “The EVERYTHING Guide to Managing and Reversing Pre-Diabetes 2nd Ed.”, “The EVERYTHING Diabetes Cookbook 2nd Ed.”, “Virtual Grocery Store Tour: Getting The Most Nutrition Out Of Your Food Shopping”, “Pre-Diabetes: Your Second Chance At Health”, “The Quick Start Guide to Healthy Eating”, “The Quick Start Guide To Pre-Diabetes” and “Quick Start Recipes For Healthy Meals”. Read her articles, recipes and blog at http://www.nutritionxpert.com and learn more about her books at http://www.gretchenscalpi.com. It only takes a stroll down the dairy aisles of the supermarket to realize that there are literally hundreds of yogurt brands to choose from. Not too long ago one manufacturer produced the familiar fruit on the bottom yogurt. Now yogurt has expanded to endless brands, consistencies and flavors. Yogurt seems to dominate the dairy aisle these days. Over the last few years Greek style yogurts have gained in popularity and for some very good reasons. Greek yogurt has a thicker, creamier consistency (even the fat free versions) as compared to the standard yogurts that most of us are familiar with. Greek yogurt is thicker because is strained an extra time in the yogurt making process. This lowers the water content and results in a thickness similar to that of sour cream or pudding. Aside from the consistency factor, side by side comparisons of Greek and regular yogurt show that there are some nutritional similarities as well as some differences between the two. A quick check of the nutrition facts label will provide you with carbohydrate and sugar content in various yogurt products. Understand that if enough sugar or fruit flavoring is added to yogurt for sweetening, the calories can be as high as 250 calories per 6 oz. cup for either version, so it pays to check those labels. For the person counting their carbohydrates, Greek yogurt can work out very well as a healthful snack, as long as the selections do not have a large amounts of added sugar. Some of the more popular Greek yogurts we have compared contain about 7 grams of carbohydrate for the plain, and 12-22 grams for the flavored varieties. “Light” yogurts are comparable in this regard. The biggest difference between Greek and regular yogurt really comes down to the protein content. 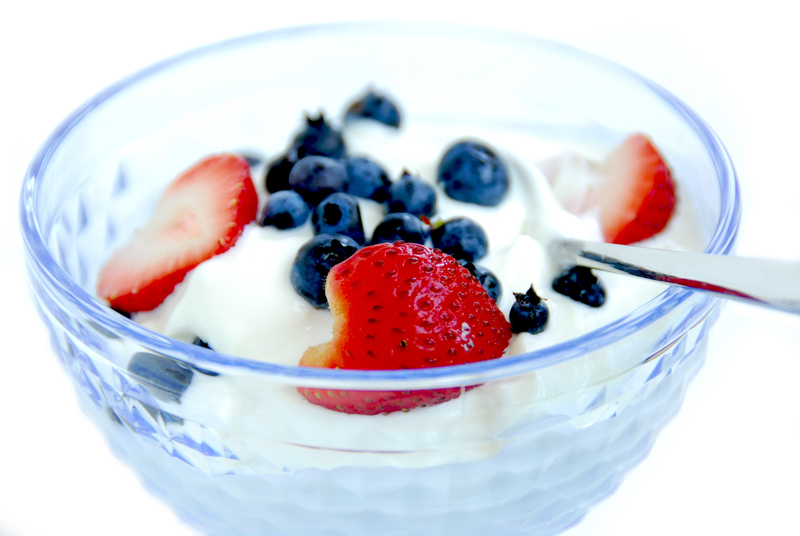 Regular yogurts typically have 5 grams of protein per 6 oz. 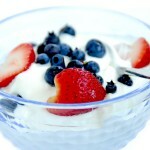 cup while Greek yogurts boast 14-15 grams of protein: that’s comparable to the protein content of 2 whole eggs. The higher protein content can be more filling and satisfying for someone watching their calories, especially when used as a between meal snack. Calorie comparisons of “light” vs. Greek nonfat yogurts are pretty close: about 110-140 calories per serving for either. Both types of yogurt are good sources of calcium and provide pro-biotics. The various strains of pro-biotic found in yogurt with active cultures help to maintain or restore healthy bacteria to the intestinal tract. Many people with digestive problems have discovered that regularly including yogurt helps to diminish the symptoms of irritable bowel syndrome, diarrhea or constipation. Pro-biotics are an essential restorative factor after someone has been on antibiotic therapy. Whatever type of yogurt you decide to eat, your choice to include yogurt routinely in your diet is probably a good one. Do some taste comparisons, cost comparisons and if you’re so inclined, try incorporating yogurt with a meal or as a snack often! Gretchen Scalpi is a Registered Dietitian, Certified Diabetes Educator and Certified Wellcoach®. She is the author of “The EVERYTHING Guide to Managing and Reversing Pre-Diabetes 2nd Ed.”, “The EVERYTHING Diabetes Cookbook 2nd Ed.”, “Virtual Grocery Store Tour: Getting The Most Nutrition Out Of Your Food Shopping”, “Pre-Diabetes: Your Second Chance At Health”, “The Quick Start Guide to Healthy Eating”, “The Quick Start Guide To Pre-Diabetes” and “Quick Start Recipes For Healthy Meals”. Read her articles, recipes and blog at http://www.nutritionxpert.com and learn more about her books at http://www.gretchenscalpi.com. Holiday Party Know-How by Helen Agresti, R.D. 1. Be a smarty before you party. When we go all day without eating or skip lunch prior to a party, this usually leads to unhealthy choices throughout the remainder of the day. 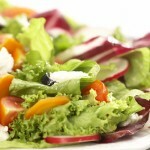 Make time for a cup of soup, small salad with vegetables and black beans or a few whole grain pita slices with hummus. 3. Give yourself 20. Practice good portion control by waiting 20 minutes in between visits to the buffet table. 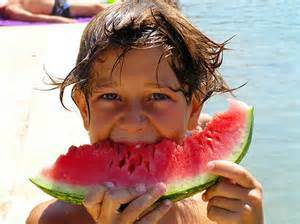 This gives our bodies time to recognize the satiating power of the food we just ingested. 4. Hydrate and deflate. 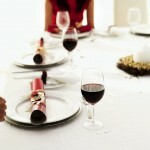 Beer, wine, and sugar-laden drinks are high in calories and have zero nutritional value. Naturally, the more we drink the more we visit the restroom. For every alcoholic beverage, drink one glass of water. Staying hydrated will decrease the likelihood of headaches, fatigue, and feeling bloated the next day. Weight struggles may create somewhat of a “dietary fat phobia”, but it’s important not to let a low-fat mindset become a no-fat mindset. The Dietary Guidelines for Americans recommend healthy adults consume 20 – 35% of their daily calories from fat. These recommendations aren’t made without reason, so let’s focus on why we need fat in our diet – and how to choose the best sources. Note the word “substituted” – adding unsaturated fats to an already high-fat diet is not beneficial. If you’re unsure of a food’s fat content, read the nutrition facts panel to see the amount of saturated, unsaturated, and total fat per serving. Laura Maydak has a B.S. in Clinical Dietetics and Nutrition from the University of Pittsburgh, and is currently a graduate student in the school’s Coordinated Masters in Nutrition and Dietetics program on her way to become a registered dietitian. Aside from school, she is an avid runner, fitness enthusiast, and wanna-be chef. Connect with Laura on twitter (@lmaydak) for motivation and tips for living your healthiest, happiest life – all given with a healthy dose of humor. 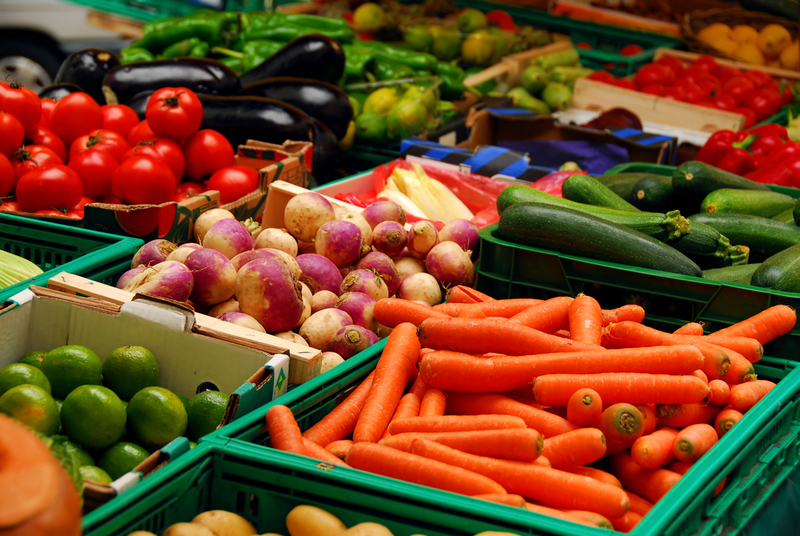 Some people choose organic produce because they believe it has a higher nutritional value than commercially grown produce. The comparisons of nutritional content between food organically grown and conventionally grown produce, however, shows little difference. 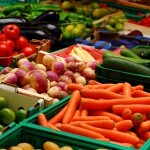 Consider also that much of the produce we buy today is not always locally grown. We have many fruits and vegetables to choose from year round because they have been shipped from other parts of the country (or the world.) The fact that a fruit or vegetable is organic does not necessarily translate to nutritional superiority simply because it’s organic. If shipped from far away, it may already be past its nutritional peak. Buy conventionally grown produce from the “Clean 15″ list, and organic only for those foods that are on the “The Dirty Dozen” list. 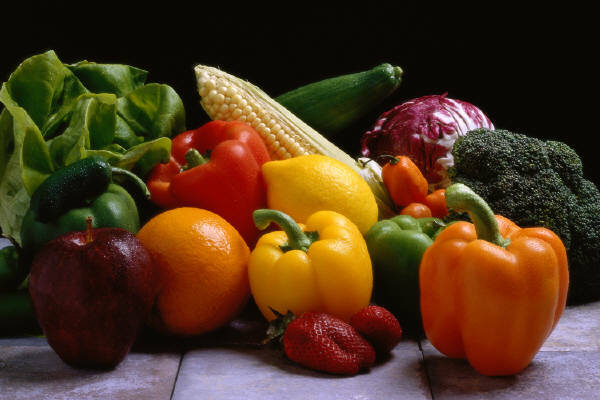 The Dirty Dozen are the fruits and vegetables which have the largest amount of pesticide residues, and the Clean 15 have the least amount. Every week I meet at least a few new clients who are having trouble losing weight, despite making healthy food choices. When it comes to those food choices, you can get too much of a good thing. 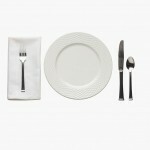 Being able to recognize what makes a normal portion is essential if want you to maintain your health and your weight. Some people are just eating too much, or at least, enough food to keep their weight right where it is… not budging at all! It really is about how much you eat of any food. This method has received a lot of attention recently and it is one of my favorite ways to show clients how to zero in on those portions. 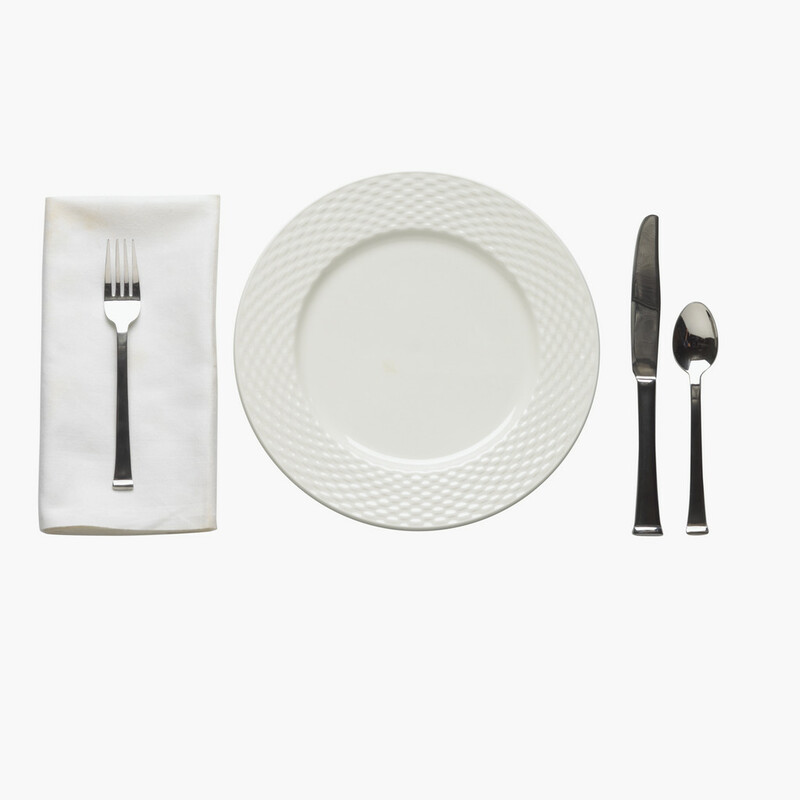 Start by dividing your plate in half. Fill half of the plate with vegetables or fruit. Divide the remainder of your plate into two quarters. Visualizing the plate in this way makes it easy to learn about healthy portion sizes, especially for those who don’t want to measure their food. One thing you must consider, however, is how big are your plates? It is not unusual for standard size dinner plates to come in sizes of 10 inches or more. A nine inch plate used to be the standard. Unfortunately, if you start with a larger plate, the tendency will be to fill it up. Portioned food on a large plate looks like you aren’t getting enough food! So if you have large plates, think about scaling down to a 9 inch size. 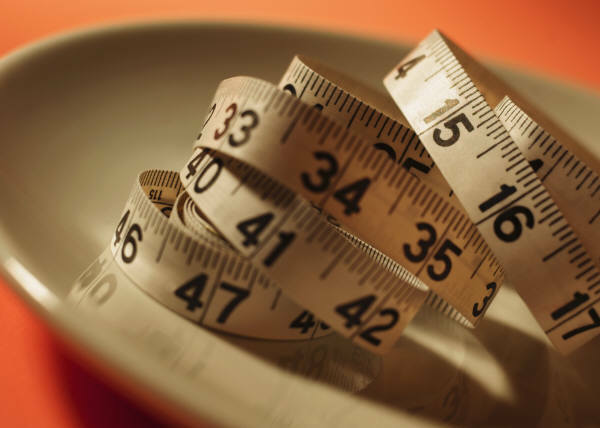 Besides using the plate method, weigh or measure your food portions from time to time. Big portions are everywhere, and we get used to seeing too much food on the plate no matter where we go. It’s easy to lose sight of reasonable portions. I recommend getting a food scale or using measuring cups every few months to “revisit” portion control. *Fresh fruit: 1 piece is one serving. Berries or Melon: 1 cup. *Juices or canned fruit: 1/2 cup. *Fats: (oil, butter, mayonnaise): 1 tsp. Maintaining reasonable food portions, and “checking in” on the amount you put on your plate from time to time is one of the most effective ways to get back on track with weight loss. 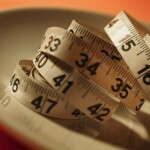 If you eat healthy but your weight is stuck, check to see whether you are getting too much of a good thing! Gretchen Scalpi is a Registered Dietitian and Certified Diabetes Educator. She is the author of the books “The Quick Start Guide To Healthy Eating”, “The Everything Guide to Managing and Reversing Pre-Diabetes”, “The Everything Diabetes Cookbook, 2nd ed.” and “Pre-Diabetes Your Second Chance At Health”. Purchase her book “Quick Start Recipes For Healthy Meals” for .99 cents via Amazon.